Whether you’re looking to relieve your muscles following a tough workout or just want to escape the hustle and bustle of the city, Chicago has plenty of destinations in which you can get a relaxing massage. From the Magnificent Mile to River West, we’ve compiled the best massages in Chicago because let’s face it—we could all use a little relaxation every now and again. 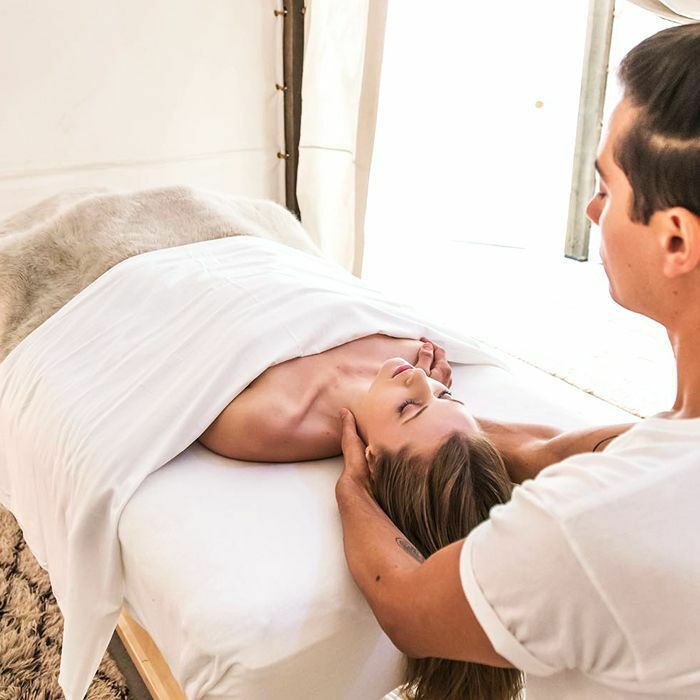 Thanks to some help from Chicago-based blogger Katie Niemiec of Little Black Blog, we created a list of the best places to get a massage in the Windy City. From hotel spas that host an extensive list of services to luxury gyms that offer reflexology and aromatherapy, the best massages in Chicago are guaranteed to soothe sore muscles and relax your mind. For the finest massages in Chicago, keep on reading. Be it a deep tissue massage you're after or a salt scrub/massage combo, the Cowshed Spa at Soho House Chicago has got you covered. And while Niemiec says the interior design alone is worth checking out, she insists that the massage services are not to be missed. Plus, she says the Cowshed products used and sold at the spa smell absolutely delicious. If you're looking to make a relaxing day out of your massage, Niemiec recommends booking an appointment at Chuan Spa. And while the massages at the spa are top-notch, Niemiec notes that the common spaces are just as spectacular. With a 67-foot pool and Instagram-worthy treatment rooms, Niemiec recommends booking multiple services and "blissing out" at Chuan Spa. Niemiec says that The Spa at the JW Marriott is a tranquil oasis in the middle of the city. She goes so far as to say that it "might be the most relaxing place I've ever received a massage." And while Niemiec says the atmosphere is truly spectacular, she says that the service and massages are excellent as well. Equinox may be predominantly known as a fitness center, but some locations feature a variety of spa services including an extensive selection of massages spanning aromatherapy, Thai, and reflexology. Not a member? Don't worry—spa services are available to both members and the public alike. Plus, Niemiec says that you get to use all of Equinox's facilities the day of your service. She says, "It's the perfect time to truly relax and take a day to yourself by enjoying luxury amenities." Next up: Hands down, these are the best hair salons in Chicago.